It is a hard task to constantly cycle through multiple windows If you are someone who likes to multitask on a single monitor desktop setup. Even if you try your best at arranging multiple windows, but there will always be some space left on the desktop. 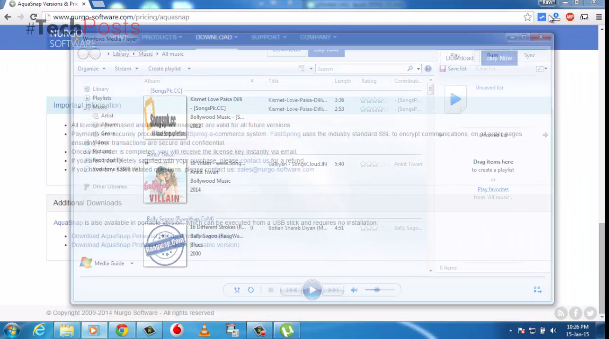 For those who want to use waste space on their desktop and achieve maximum multitasking, you can make use on an free tool for windows known as Aquasnap. Aquasnap is a free tool for windows that helps you arrange and organize multiple windows on your desktop with minimum effort. Now that you know about this extremely useful tool, lets find out how it works. 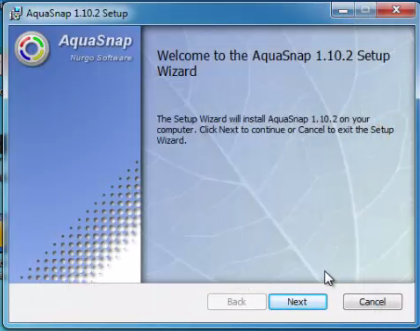 Step 1: Download and install Aquasnap from the link given at the end of the post. Step 2: Once Aquasnap is installed, the icon will appear in the windows notification menu. 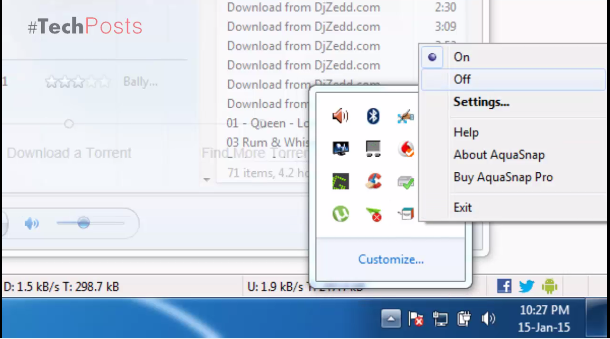 Step 3: You can now drag and move a window to any of the four edges of your desktop and when you drag or move windows to any side, a small icon should appear showing you the portion of the screen the window should cover. The windows should then snap to that portion of the desktop. Step 4: Now you do the same with other windows and all of them should automatically snap to the space available on your desktop. 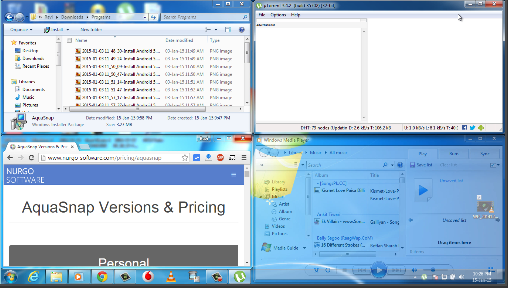 Here’s are some example of Multiple windows organised on the windows desktop. With Aquasnap you can stack windows one above another, and customize the topmost windows being semi transparent. To make a window semi transparent, you will simply have to shake the window. See screenshot below. Also, you can always turn off Aquasnap for a while if you want to, simply right click on the tool’s icon from the notification tab and click on the off option. 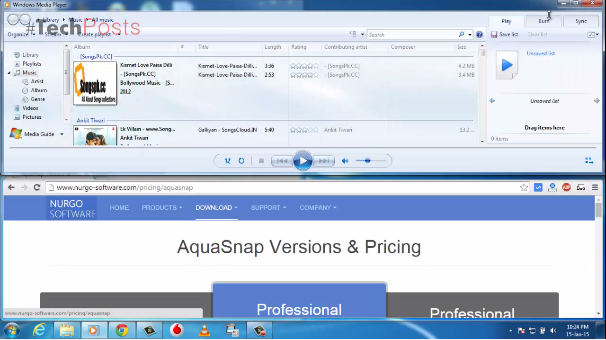 Aquasnap is available both in free and paid versions, however the free version has all the features that you will need for your personal use.